cap. has designed extensive organising kitchen aides in its G6 accessory series, specifically designed for GERA. They can be attached to the light rail from the GERA light system 6 and with the rail form an optical self-contained unit. 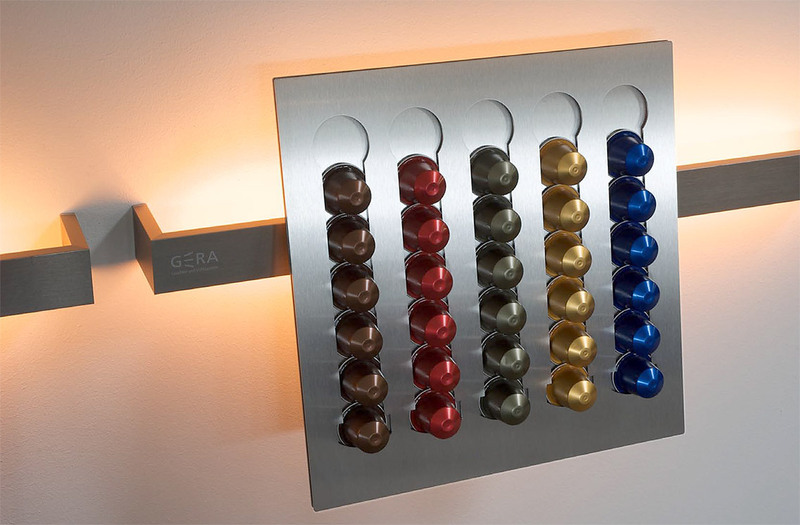 The unit includes a bracket that can hold espresso capsules. The atmospheric light in the background emphasises its aesthetic presentation surface. and as black as her mother's curses when she learns about it!